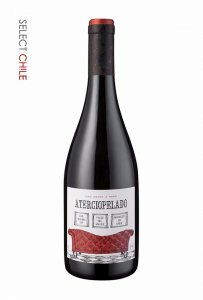 產地: Maule Valley, Melozal (País) / Pencahue (Malbec). Colour: Attractive bright red with hints of ruby. Aroma: Red fruits, cherries, red plums with notes of herbs and dried fruit, quite delightful. Flavour: Red fruits with great acidity complemented by powerful tannins and a velvety finish, definitely seductive. Best served at between 10°C ~12°C.